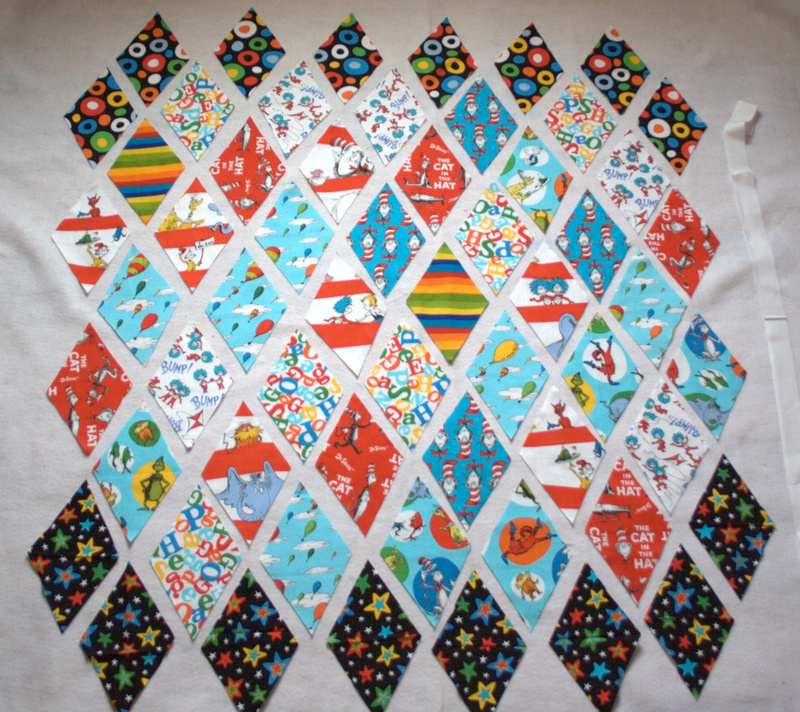 Thanks for the inspiration – from your reflections on Quiltcon, to repurposing a WIP. An abandoned WIP baby quilt may be next on my list too, but my baby is 20! 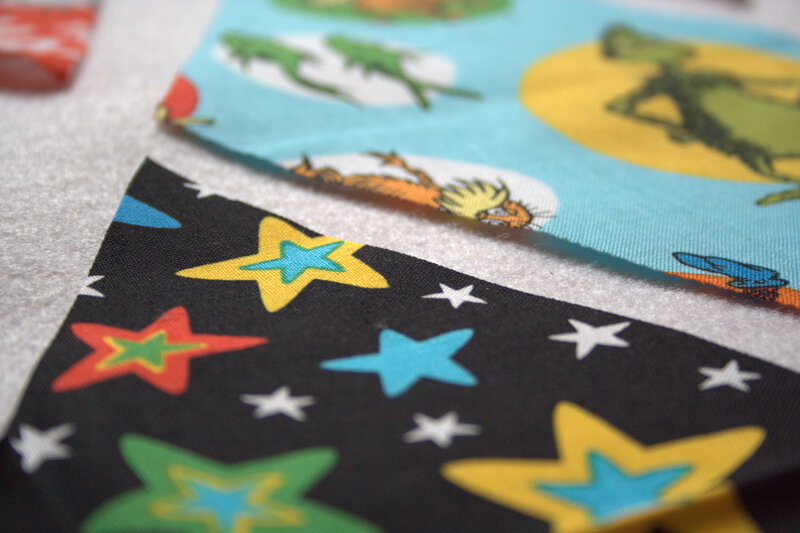 Love the diamonds, it really works with this fabric – hope you get it done quickly but enjoy it at the same time! Now you have officially come full circle! I feel like that is symbolic of something really big… Don’t you think? Am I reading too much into this? No, I think not. After you finish this quilt, something really big is around the corner, I feel it in my bones. What serendipity that you had this fabric around and hadn’t used it; it’s like it was waiting for this basket. A diamond layout looks like a lot of fun with this print. I did a square on point with white sashing but I imagine that was much easier as I was working with just 90 degree corners. I predict that whoever receives this quilt will think it is really neat that the quilt has the same pictures as their book! 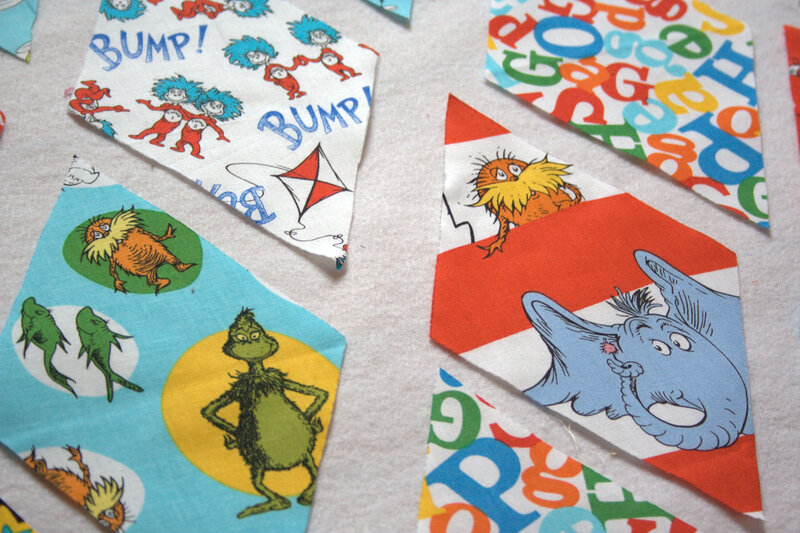 I also have some Dr. Seuss fabric that I can’t bare to cut into yet. Yours looks like it will be sweet with those shapes. Such a delightful quilt idea. And a wonderful cause! 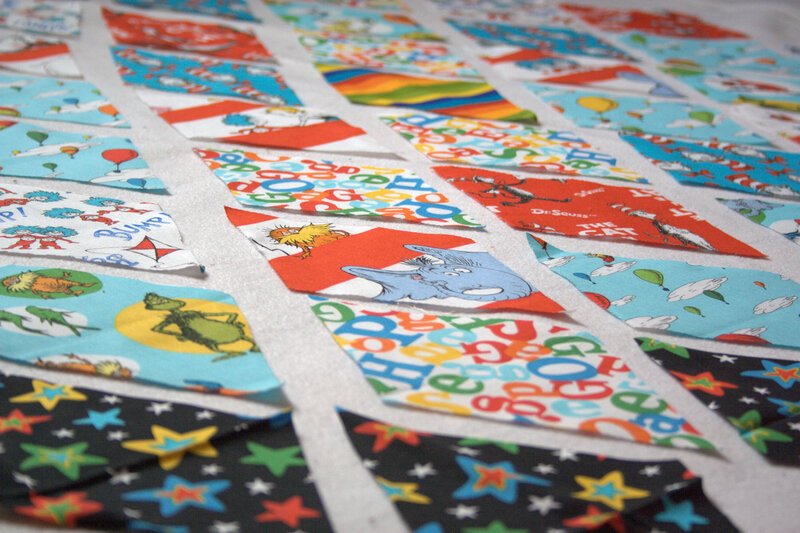 I think your quilt will be the star of the basket… it’ll be perfect to go along with all those fun books. And you get a WIP out of the house. Win-win! Looks good. I know it will be loved.